Abstract: Silicon Photonics is no more an emerging research topic but is an actual technology with commercial products already available on the market. Quantum confinement of carriers or spatial localization of photonics allow to dramatically enhance and widen the scope and potential of silicon photonics. After a review of silicon photonics where the state of the art is presented, the optical properties of silicon reduced to nanometric dimensions are introduced. The use of nano-Si in silicon photonics (waveguides, modulators, switches, sources and detectors) is reviewed and discussed. Recent advances of nano-Si devices such as bio-imagers, optical resonators (linear, rings, and disks) are treated. The development of high efficiency light emitting diodes for interchip bidirectional optical interconnects is presented as well as the recent progresses to exploit nano-Si for solar cells. In addition, non-linear optical effects which enable fast all-optical switches are described. On the other hand, confinement of photons to small microresonators allows tuning the photon properties. Here also novel effects are found. Ultra high bandwidth robust optical switches for UDWDM, active suspended microdisk bistable devices, nonlinear optical generations are only few applications where nanophotonics can be appreciated. Biography: Lorenzo Pavesi is Professor of Experimental Physics at the University of Trento (Italy). Born the 21st of November 1961, he received his PhD in Physics in 1990 at the Ecole Polytechnique Federale of Lausanne (Switzerland). In 1990 he became Assistant Professor, an Associate Professor in 1999 and Full Professor in 2002 at the University of Trento. He leads the Nanoscience Laboratory, teaches several classes at the Science Faculty of the University of Trento. He founded the research activity in semiconductor optoelectronics at the University of Trento and started several laboratories of photonics, growth and advanced treatment of materials. 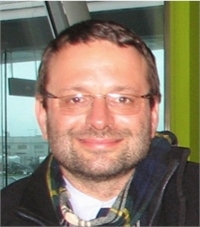 He is the president and founder of the IEEE italian chapter on Nanotechnology. He has directed more than 20 PhD students and more than 20 Master thesis students. His research activity concerned the optical properties of semiconductors. During the last years, he concentrated on Silicon based photonics where he looks for the convergence between photonics and electronics by using silicon nanostructures or photon confinement. He is interested in active photonics devices which can be integrated in silicon by using classical waveguides or novel waveguides such as those based on dynamical photonic crystals. His interests encompass also optical sensors or biosensors and solar cells. In silicon photonics, he is one of the worldwide recognized experts, he organized several international conferences, workshops and schools and is a frequently invited speaker. He manages several research projects, both national and international. He is a frequently invited reviewer, monitor or referee for photonics projects by several grant agencies. He is an author or co-author of more than 300 papers, author of several reviews, editor of more than 10 books, author of 2 books and holds six patents. He is in the editorial board of Research Letters in Physics and he was in the editorial board of Journal of Nanoscience and Nanotechnologies, in the directive council of the LENS (Florence), in the Board of Delegates of E-MRS. In 2001, he was awarded the title of Cavaliere by the Italian President for scientific merit. In 2010 and 2011, he was elected distinguished speaker of the IEEE- Photonics society. He holds an H-number of 41.